The man accused of killing 11 Jews in an anti-Semitic attack at a Pittsburgh synagogue was charged in a 44-count indictment that includes federal hate crimes. Suspect Robert Bowers, 46, “made statements indicating his desire to ‘kill Jews'” in the shooting attack on Saturday, the Department of Justice said in its indictment Wednesday. Grieving family, friends and neighbors of the 11 people gunned down at the Tree of Life synagogue meanwhile continued Wednesday with a series of funerals. Students from the Yeshiva School in Pittsburgh stand outside Beth Shalom Synagogue after attending the funeral service for Joyce Fienberg, Oct. 31, 2018. Friends and family gathered at separate funerals to remember Joyce Fienberg, 75, Irving Younger, 69, and Melvin Wax, 88, who were among the 11 worshippers gunned down. Fienberg, a former research specialist, is survived by her two sons and grandchildren. Her husband, “internationally acclaimed statistician” Stephen Fienberg, died in 2016. Joyce Fienberg is seen here in this undated file photo. “My mother-in-law was one of the kindest humans I’ve ever met,” her daughter-in-law, Marnie Fienberg, told ABC News. 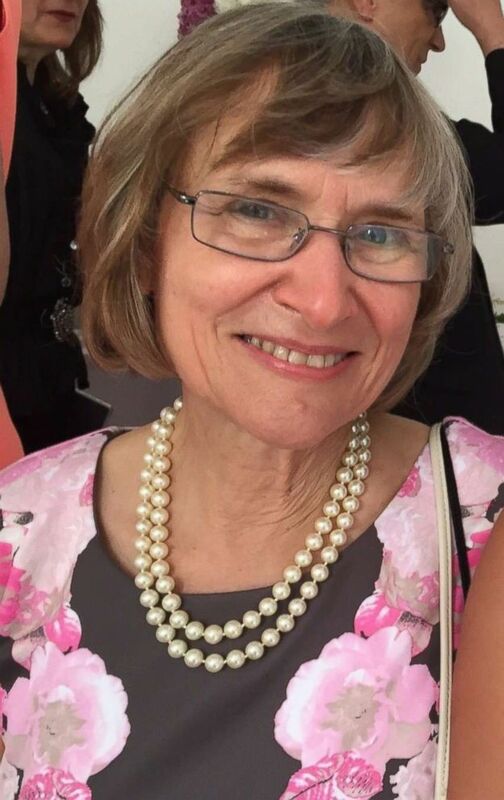 Joyce Fienberg’s most important relationships were the ones she had with her six grandchildren, who range in age from 15 to 8, her daughter-in-law said. 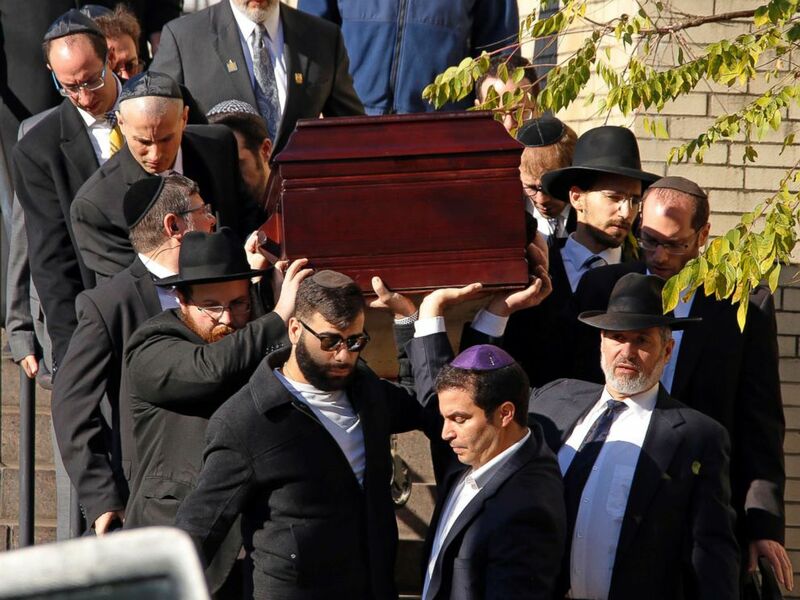 Pallbearers carry the casket of Joyce Fienberg from the Beth Shalom Synagogue following a funeral service in Pittsburgh, Oct. 31, 2018. 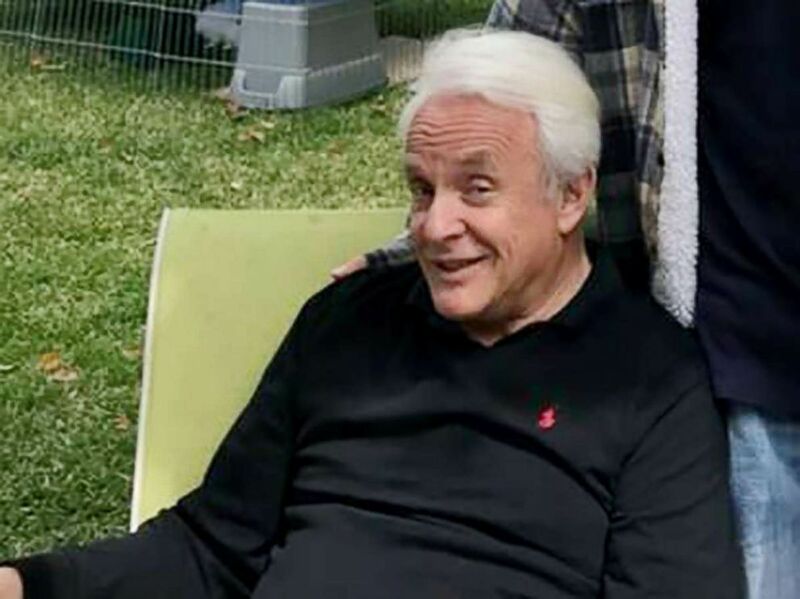 Melvin Wax, a retired accountant, was a fixture of the Tree of Life congregation, friend Myron Snider told The Associated Press. 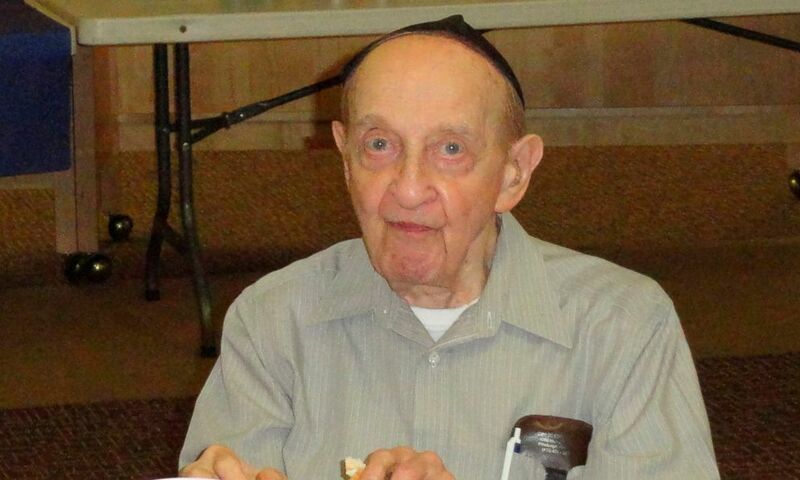 Melvin Wax was seen here in this undated file photo. Wax was known for being one of the few people who always showed up to services early, Marilyn Honigsberg told the AP. “If somebody didn’t come that was supposed to lead services, he could lead the services and do everything. He knew how to do everything,” Snider told the AP. Wax’s wife, Sandra, died in 2016. 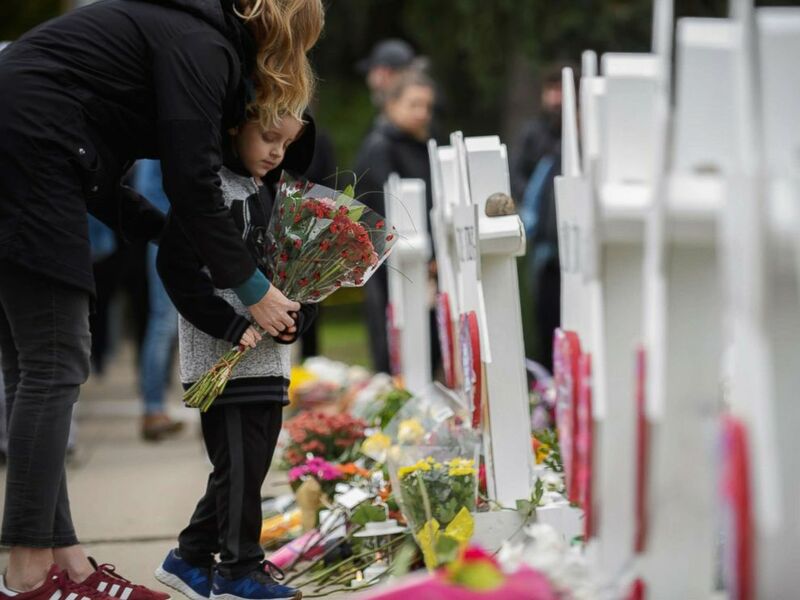 A mother and child place flowers, Oct. 29, 2018, at a memorial for victims of the mass shooting at the Tree Of Life Synagogue, in Pittsburgh. “I wouldn’t be surprised if he saw this gunman walk into the room where the services were and his first thought was, ‘Can I help this stranger get settled?’ Until he saw what the stranger was doing — because that’s the kind of thought that he would have,” said Schachter, the former congregation president. Irving Younger is seen here in this undated file photo. Younger was also “the most wonderful dad and grandpa,”neighbor Tina Prizner told the Pittsburgh Tribune-Review. “He talked about his daughter and his grandson, always, and he never had an unkind word to say about anybody,” Prizner said. President Donald Trump and the first lady, joined by the president’s son-in-law Jared Kushner and daughter Ivanka Trump, visited the synagogue Tuesday afternoon. Rabbi Jeffrey Myers — who escaped the gunfire Saturday — greeted the president outside the Tree of Life as protesters gathered nearby. 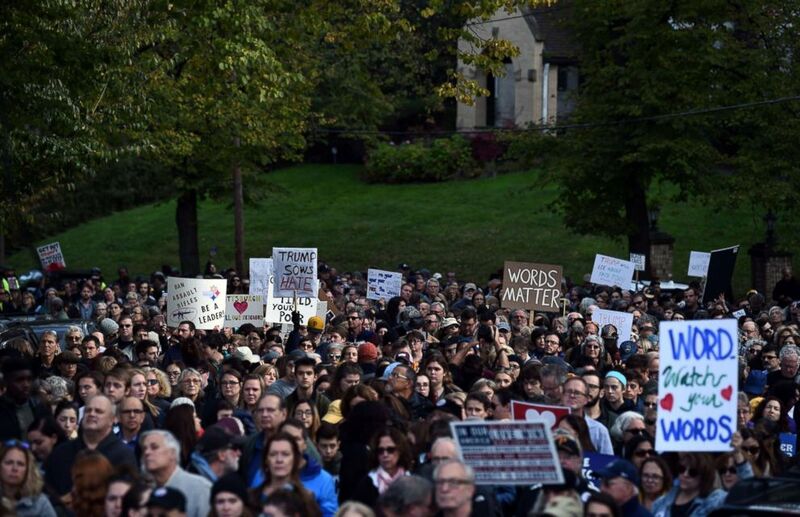 People protesting against President Donald Trump wait near the Tree of Life Congregation on Oct. 30, 2018 in Pittsburgh. “Words have meaning!” some neighbors screamed toward the president’s envoy.